If you are an international student in the US finding yourself needing a car for the first time, you’ve probably heard of leasing. In this article, we will discuss how can international students buy or lease a car in the US. To some, this is an attractive option to avoid cash flow issues, and spend less total money in the short term, all while driving a new vehicle you may not otherwise be able to afford. However, when you lease a car you lose out on several benefits of car ownership. When you lease a car, you are renting it with limited restrictions. For example, limits on mileage, strict interior and exterior maintenance, and a contract term that can incur penalty fees if broken. Not only that, but many foreigners living in the US—particularly international students—will be hard pressed to secure a car lease without credit. This is a unique challenge that international students on F1 visas must face. In many cases, international students are not eligible to lease a car. Why would I need credit to Lease a car? Your credit history is an important factor for anyone giving you a loan. When you use credit, that means that you will continuously owe someone money until a contract term ends, or the total loan is repaid. Certain credit transactions are tracked in the US by the three major credit-reporting agencies. The result? A numerical score from 0-800, 800 being the best. Most companies use your credit score to determine the eligibility for service or particular rate. It may not seem fair if you’re a financially stable student who just needs to get a ride, but think of it this way: Are you more likely to loan $100 to your friend who always pays you back right away, or to a stranger you just met who promises to pay you back? Cars are valuable items, and dealerships need to protect themselves when considering to whom they lease a car. If you do not have a substantial credit history record, it will be difficult to lease a car in the US. What are the benefits of Owning a car? There are many reasons why owning a car may be more beneficial than leasing/renting a car. The major reason is whether or not you have credit. Let’s take a closer look. Flexibility: When you lease a car, you are stuck in a contract, usually for one or two years. If you need to break this contract, for example if you move, or don’t need a car for the summer or a long holiday away from school, you will be charged fees for this. Your contract will also include limits on how many miles you can drive. If you don’t live very close to campus, or have a job that is far away, you may end up paying additional fees for every mile over the agreed upon limit in your lease. At the end of several leases, you will likely have spent more on your lease than you would have if you had purchased the vehicle instead. This means you lose out on one major thing: equity. Equity: Equity is the value of something you own. When it comes to cars, you can use the equity to purchase a future car, or to get a loan for another reason should you need it. If you lease a car, you lose out on this advantage, and will ultimately spend more money over an extended period of time. Of course, car value depreciates over time, but if you do your research and manage your ownership responsibly, you can come out on top. Car ownership is an asset, whereas leasing is a sunk cost. Credit: If you purchase a vehicle using an auto loan, you will start to build your credit. Not only could this help you secure a lease at good rates in the future, but it will benefit you in other ways while living in the US. 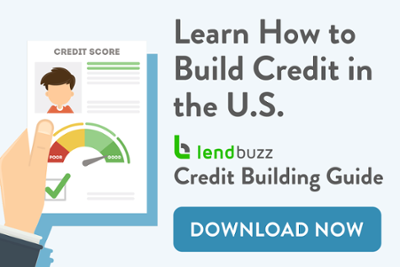 Credit is used for more than just loans; landlords, credit card companies, and banks all use your credit score and history to determine whether or not you are qualified for their services. Even some employers will do a credit inquiry on you to see if you are responsible. How can I purchase a car affordably if I do NOT have Credit? We just determined that not having credit can prevent you from getting any kind of loan and therefore hinder you from being able to lease a car . So how can you get your hands on a new or used vehicle affordably? Get an auto loan designed for international students like you! Lendbuzz takes other factors into consideration when giving you a loan, and doesn’t require you to get a social security number before applying. Not only are their rates fair but you will start to build credit with their loans just like you would with any other lender. Hopefully you have a better understanding of the pros and cons for international students on whether to buy or lease a car in the US. Winter is coming. Do you know which car you’ll buy?